Goplus Electric 450W 10-Inch 12 Speed 300-2900 RPM Mini Drill Press Bench w/ Laser & LED Light comes sells at a reasonable price for your home or shop. 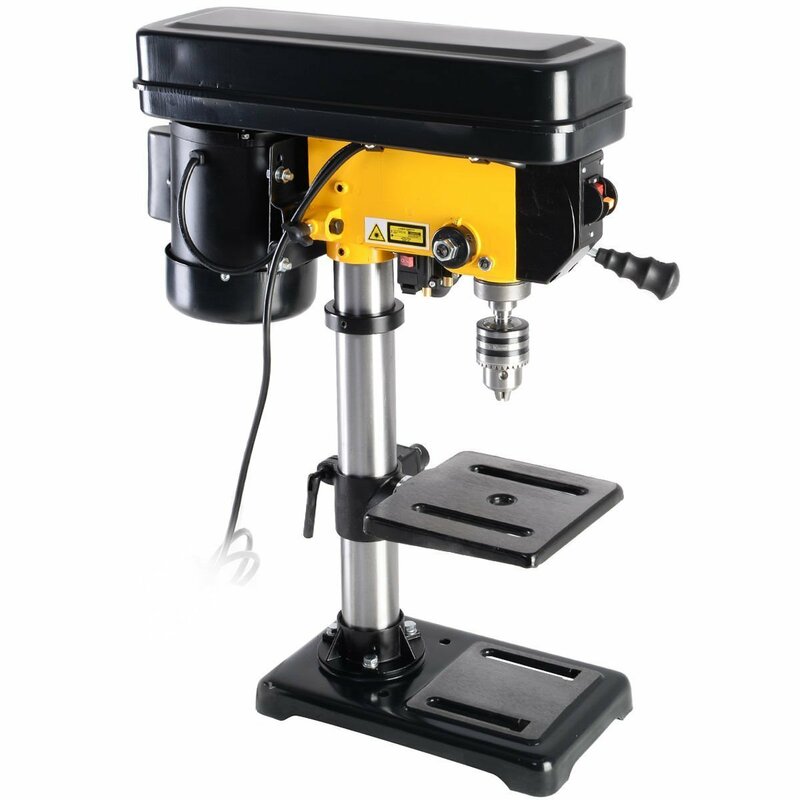 The mini drill press is powered by a heavy duty ball-bearing motor of 12 speeds that drills various materials such as wood, plastic, stainless steel and many others. Woodtek 816805-speed drill press is equipped with a powerful motor that can manage heavy works. It features a cast iron table (0° left to 45° right), locking height adjustments and silent V shape belt motor. This 10-inch Woodtek 816805 drill press delivers the performance you need to finish your too much industrial drilling works and so it pays off the many you spent to buy this powerful Woodtek drill press. 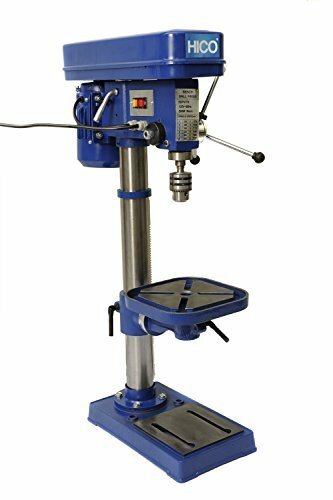 HICO-DP4116 13-Inch Bench Top Drill Press comes with great features such as 12 speed settings, heavy duty 2/3 HP induction motor, 10-inch cast iron worktable and spindle travel of 3-1/5-inch with easy to read. It has 45° bevel right and left that makes the drill press very convenient.